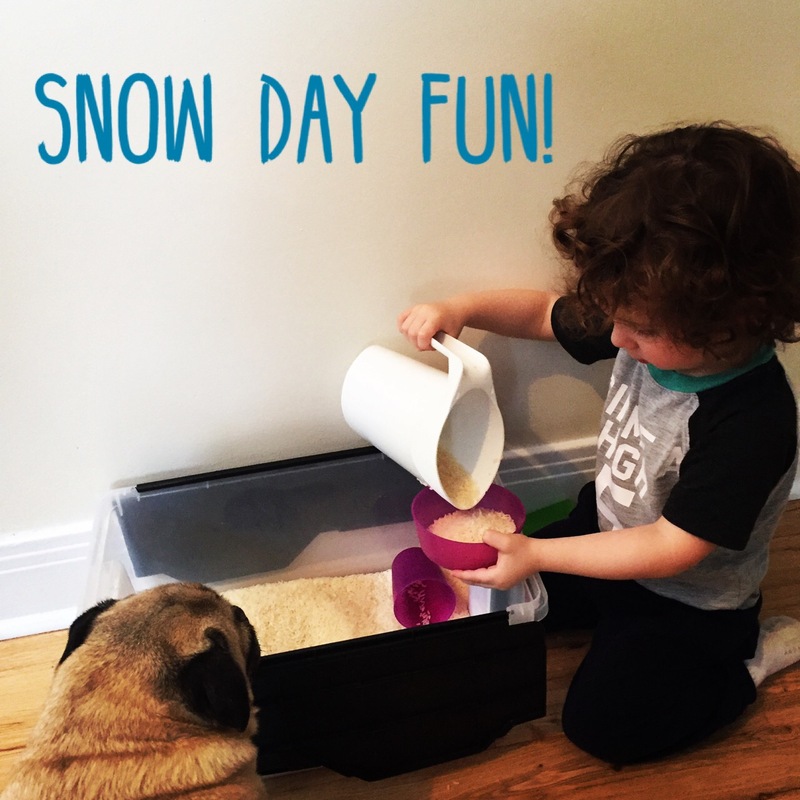 Well all of Montreal is staying at home today and being as this is my first snow day as a mother of two we had to come up with some easy last minute ideas to keep my almost 3 year old busy (and our 4 month old content). So here some of our fun indoor snow day activities. Our first activity was the rice sensory “sand table”. Pour rice into bin. Toss in some pitchers, cups, measuring spoons and then let them have at it! Total hit! Got a solid 20 Minutes of play on this one. The second activity was our balloon game. This one ended up being a super hit! I inflated about 10 balloons and placed them in a pile in the living room. Then we had fun running into the pile and watching the balloons fly everywhere. ​the rest of the day included play doh running around and more balloon time! Special shout out to my amazing neighbour who brought Maxwell outside for a bit while I was able to prep lunch and tidy. VERY APPRECIATED! 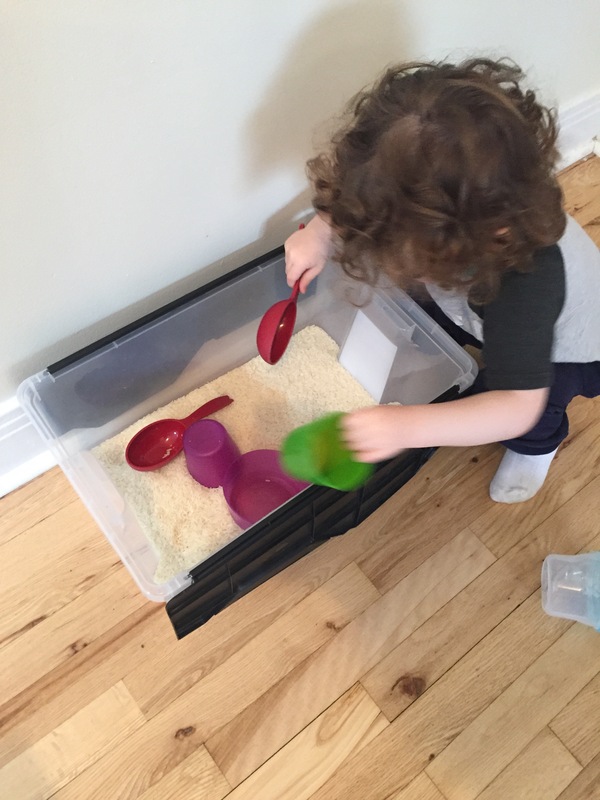 Tell me about your indoor day musts with little ones!